[KTravel] Winter like a Korean at a Jjimjilbang - 짱이뻐! The best place to spend winter is inside where you can be warm and toasty! What better place than in a jjimjilbang, Korea’s traditional sauna. At a jjimjilbang, you can try sauna rooms in a wide range of temperatures from steaming hot to freezing cold, as well as try out new experiences. For instance, you can look like Princess Leia with a rolled towel on your head or try traditional steamed eggs. Jjimjilbang are also great for travelers looking for super cheap accommodations, as long as you don’t mind sharing the room with a dozen or more people. For a unique winter experience, check out one of the jjimjilbang in this column. If food is at the top of your list, then Traditional Oriental Forest Land is the place for you! 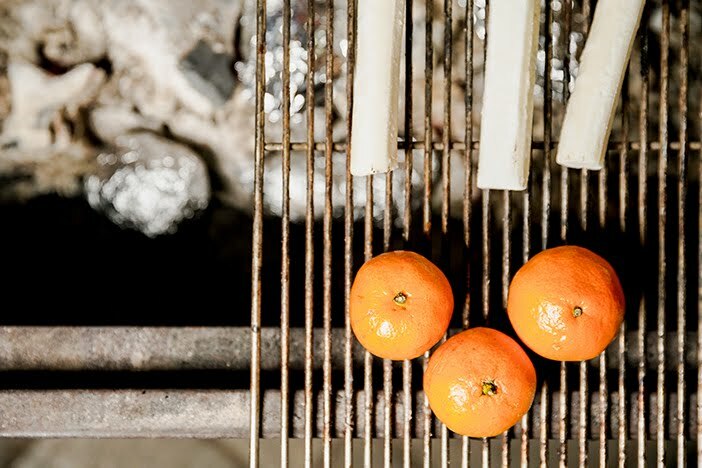 This jjimjilbang features plenty of tasty snacks lightly toasted over oak charcoal to bring out their flavors! 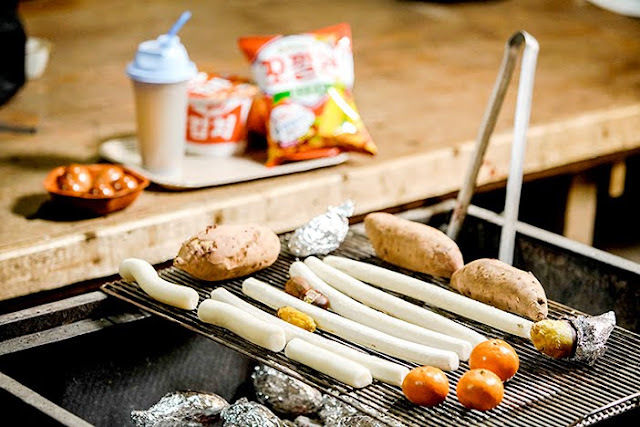 The in-sauna snack bar sells everything you could hope for, from garaetteok (rice cake stick) and sikhye (sweet rice drink) to potatoes, sweet potatoes, eggs, and even tangerines; and of course, it wouldn’t be Korea without cup ramyeon! When visiting Traditional Oriental Forest Land, keep your eyes open for Nabi, the resident cat! She especially loves the tepid room and can often be found lounging about here. Another unique feature to check out is the therapy room. The hot brazier will warm up even the coldest people! 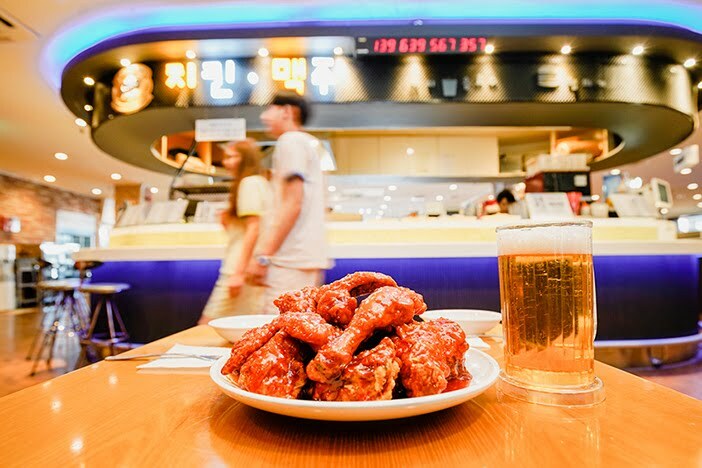 While the invention of saunas and fried chicken may not be attributed to Korea, there is no denying Korea’s love of them! Spasis in Incheon is the only jjimjilbang in Korea where you can enjoy these two Korean favorites together! Order the classic fried chicken or Korean varieties such as hot and spicy or soy sauce-marinated chicken; boneless chicken is a popular choice for people who want to eat with less mess. The serving sizes here are large, so be sure to come with an empty stomach, and don’t forget to order a beer for the true Korean chimaek (chicken and beer) experience. After getting your fill, you can relax in the Himalayan salt room, play a round of pool, or watch a movie! For a spa with a view, head to The Spa in Garden 5, located in the Songpa-gu district of Seoul; the bathing area is famous for its view of the sky and Lotte World Tower. Enjoy the various pools before heading to the communal area, with sauna rooms for every style. 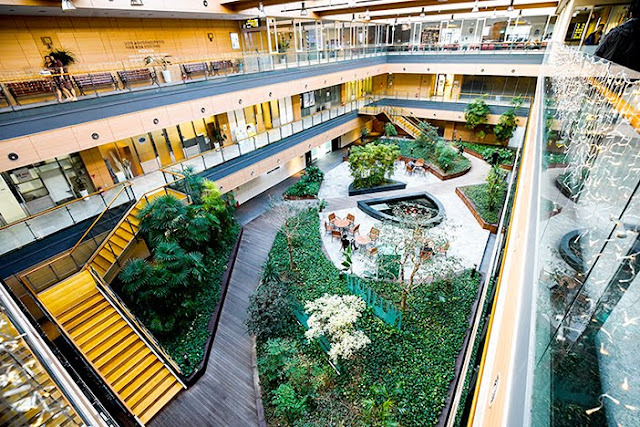 After trying out the saunas, enjoy some snacks and light conversation overlooking the Heavenly Garden Atrium. Tables and chairs are placed around the area for added comfort. 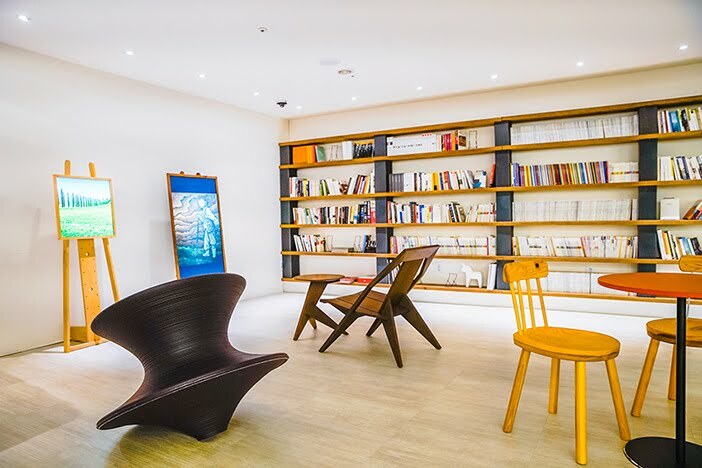 The lounge of Club K Seoul, located near Seolleung Station, combines the relaxing atmosphere of a spa with visual and literary arts. Visitors will be pleased with the book café, lifestyle shop, therapy shop, fitness club, jazz bar and other cultural amenities. One entire wall of the lounge area is covered in bookshelves filled with books. If you can’t find one to read, you can simply enjoy the cultured interior, increased by world famous paintings that scroll by on the digital frame. The fitness club operates on a membership system, but also offers a free 1-day experience. Park Habio’s Water Kingdom and Jjimjil Spa is the largest water play and spa facility in Seoul. 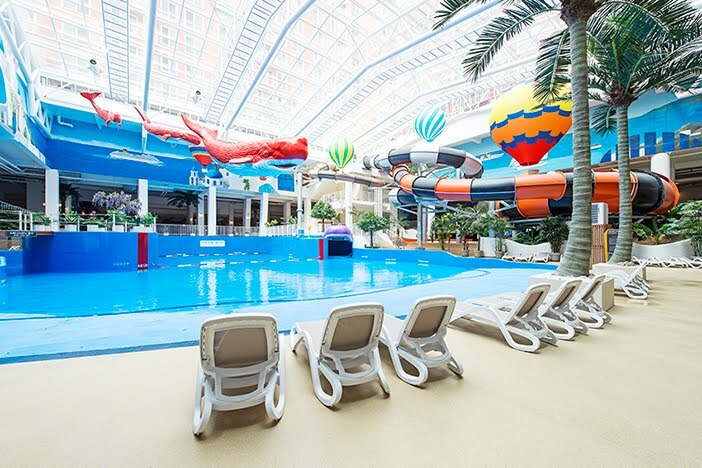 The young at heart will love the fun water slides and pools in Water Kingdom, while those looking for more rest than excitement can relax to their heart’s content in the many sauna rooms. Water Kingdom reigns supreme with the nation’s longest torrent river, the Wild Wet River. This ride uses water jets to propel riders at a rapid pace; the use of a life vest and tube is required for safety. In the Jjimjil Spa, choose from the oak charcoal room, salt room, ice room, jewel room, red clay room, or any of the other sauna rooms for some much deserved R&R. If simply resting is too boring, enjoy the additional entertainment amenities, including a Playstation zone, board games, and book rentals.